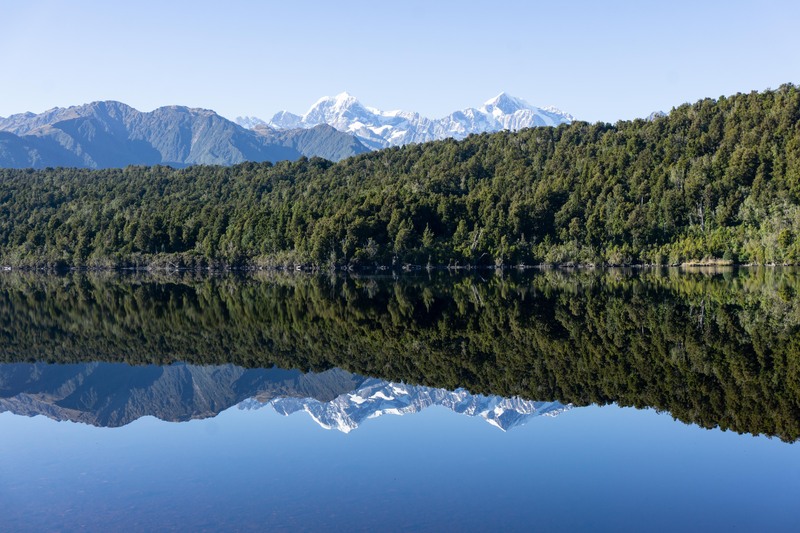 The Matukituki Charitable Trust (MCT) was established by Gillian and Derek Crombie in 2013 to ensure that the natural attributes in Mt Aspiring National Park’s Matukituki Valley are protected and enhanced. In partnership with New Zealand’s Dept. of Conservation (DOC), the Trust are now well on the way to restoring the habitat and increasing the population of all native flora and fauna with the long-term goal of translocating other species to this unique valley. MCT has successfully completed its busiest and most challenging year due to the dedication and determination of Paul Hellebrekers and our team of volunteers (more later). The team has completed the installation of 657 traps in the valley, implementing the first phase of the Trusts trap installation efforts. The traps have already shown their worth with a record number of 780 kills this season (end of May) and of real impact 95 stoats, 117 possums and 130 rats. For the first time we have encountered a number of cats with 12 caught. MCT plan to install 40 cat specific traps next year. The Trust have also assisted DOC with rodent monitoring work, beech seed monitoring, and installing a rabbit proof fence near Cascade Hut – a great all-round effort. The Trust has been very well supported by our volunteers and financial sponsors, showing that this effort to maintain and improve the valley does matter to people who are willing to give time, money and skills to make a difference. We are winning and seeing great improvements in birdlife activity. With the current year being a beech mast event, we expect a real battle with predators in the spring and trust that DOC’s Battle for Our Birds campaign will be able to assist MCT work over this period. The year has been challenging in the valley with a semi beech mast event occurring last year but not enough to trigger an aerial predator control operation, so we have had to rely solely on the traps to reduce rodent numbers. To date birdlife has held up with a lot of anecdotal reports of good bird activity around the huts and tracks but fewer sightings of kea than a year or two ago. A few long term valley users reported that the morning chorus was amazingly better. We are hoping that the trapping done over summer will allow a reasonable breeding season this year and avoid a population collapse. The high number of predator catches indicates a good breeding season for these species with the traps working and birdlife seems to be holding. Over the last few years we have seen considerable increase in the numbers of South Island robin, kakariki and even a few kereru. This is very exciting for Heather and Stu Thorne who nurtured the small robin population which were translocated by DOC from the Dart Valley back in 2007 and 2008. Heather managed to catch and band 50 robins this year – a fantastic and patient result. Overall birdlife is becoming more visible with confirmed sightings of kea, kaka, kakariki, bellbirds, kereru, native falcon, morepork, SI robin, fantail, tomtit, rifleman, rock wren, and Long Tail bats. We are also noticing some strong regrowth in the undergrowth with the reduction in possum numbers. Overall the combination of poison and trapping has made a big improvement in the valley. Paul’s contribution to designing and managing the work-plan is the primary reason that MCT have achieved its success and we are extremely fortunate to have Paul’s skills and knowledge. The trust would not be able to achieve its progress without the help of our sponsors and volunteers. Southern Hemisphere Proving Grounds (Tom Elworthy) who have again financially supported Paul’s position as Operations Manager. Tait Electronics (Garry Diack) who provided radios to improve field safety. Stuart and Coleen Landsborough who funded the trap eggs for the season. Over 300 dozen eggs! Longview Environmental Trust (John May) who sponsored this seasons Forest Bird survey and the use of their 4WD vehicle when required. DOC Community Fund (Formerly CCPF) who have largely funded the cost of traps and installation costs excluding volunteer time. 2017 is the final year of a funding grant approved 4 years ago. DOC Wanaka for assistance with transport, expert advice and accommodation for volunteers. Gillian and Derek Crombie provided general MCT funding. What has the Trust Achieved in 2017. Over the last year MCT has provided $37,000 to fund the project and, in addition, volunteers have contributed 2,636.5 hours. Total funding to date for the project exceeds $140,000 and over 5000 volunteer hours plus considerable DOC hours in support. To maintain all the activities long term we are budgeting around $50,000 per year which will enable us to engage some assistance to check and maintain the trap network as well as extending some of the key trap lines that provide protections to kea and rock wren. The network of traps now extends on both sides of the river from Mt Aspiring Station homestead to the head of the West Matukituki at Scott’s Bivvy. Side trap lines include Otago Boys High School Lodge, Rob Roy Valley, French Ridge, Gloomy Gorge, Liverpool Track and above Cascade Track and Shotover Saddle route. The cost of traps purchased to date is almost $100,000. A big effort was made for the first time with bird monitoring. Three groups; Mainly Fauna (forest bird counts), Kea Conservation Trust (kea) and DOC (rock wren) carried out monitoring and banding programmes. DOC carried out a cat survey in May this year to determine the prevalence of feral cats in the valley. Low levels were recorded but control is recommended. Also, Patrick Stewart of Sound Counts brought a group of students from the North Island for the second year to monitor birds and long tailed bats with acoustic monitors. These surveys are the first so the results will be compared with the coming year to determine changes. Overall the survey indicated that bird numbers are fairly low. MCT are confident that there has been an increase compared to 5 years ago. Mainly Fauna reported that estimated densities were high for rifleman (5.5 birds/ha), but considerably lower for bellbird, parakeet, robin and tomtit (≤1.1 birds/ha). Native species were encountered more frequently (54.0 birds/km) than introduced species (36.5 birds/km). Encounter rates were highest for chaffinch (Fringilla coelebs; 18.7 birds/km), followed by rifleman (17.2 birds/km), encounter rates for all other species were less than 8 birds per km. Anyone wanting copies of any of the monitoring reports referred to in the newsletter please contact MCT (matukitukicharitabletrust@gmail.com ) or Paul Hellebrekers. MCT has continued its relationship with DOC Wanaka. Our thanks go to Mike Tubbs for DOC support and to the local team of Anita, Flo, Annette, Kerie and Dave for their practical support. MCT have nothing but full commitment from the Wanaka DOC team and this is a major factor in the continuing success of the programme. Special recognition goes to Florence Gaud (Flo) who provides the technical expertise for the project and connects the various strands of work being done from trapping to monitoring to health and safety. The volunteer achievements of the Trust are credited to Paul Hellebrekers, Stu and Heather Thorne and Flo Gaud. This team have undertaken hundreds of hours work in the valley, much of it heavy lifting, cutting tracks and lugging traps through the forest. One new tough trap line was established through forest on the true left of the river, extensions to the Gloomy Gorge and ‘Wet Feet’ lines were also completed, along with replacing many of the older DOC traps. Trapinators have been added to most of the lower valley forest lines to target possum, with Goodnature A12 traps installed on some of the upper valley forested lines. seldom have a shortfall of people for work days. The teams generally fall into two groups: days trips to clear the lower valley traps – generally 4 or 5 people for a day a month, and overnight groups to install or clear the upper valley traps- usually 3 to 4 people. Anyone interested in joining the team are very welcome. MCT have work available for every level of fitness and experience from clearing traps alongside the road to high alpine traps requiring good back country experience. We will be clearing the traps through the winter period where this is safe and from that we will get an indication of the number of predators present. The clearing of the traps will then ramp up again in spring. A recent Tracking Tunnel survey indicated very high levels of mice (100%) and rats (10.08%) over 16 tracking lines, so it looks like we will have a busy season ahead. A significant project planned for in October, is the installation of 100 traps of various types to form a “Barrier” at the entrance to the valley near Hells Gates. Mt Aspiring Station landowners, Randall and Alison Aspinall have generously agreed to MCT installing a tight grid of traps between the bluffs and OBHS Lodge to prevent animals migrating up the valley. The traps will be placed at 50 metre spacing in several lines perpendicular to the river. 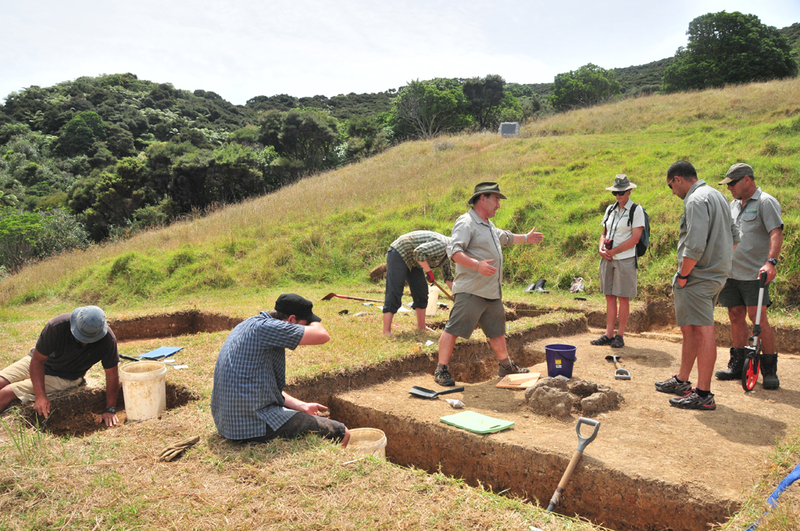 Otago Boys High School students have expressed an interest in being involved in the project which is great. Planning is also well underway to continue the monitoring programme (Kea, Rock Wren, Bats and forest birds) along with the monitoring of the current beech mast impacts. MCT has engaged Mainly Fauna Ltd to carry out a repeat bird monitoring survey in the valley. run a kea survey and combine with all other data to provide a baseline for the local kea population. While their initial catch trip was thwarted by bad weather and had to be postponed until next spring, we support and encourage this work as it will help determine whether we are targeting predator control for kea as effectively as we can. Join us in this quest for a unique valley experience. The MCT Trustees and volunteers are ready for the coming season and looking with trepidation on the task of clearing and resetting over 700 traps up to the snow line. However, when we see the rewards of birdsong and activity and it all makes sense. Trustees: Gillian & Derek Crombie and Mark Pizey. Looking across Gloomy Gorge from French Ridge Hut – some of the highest altitude areas The Trust traps.